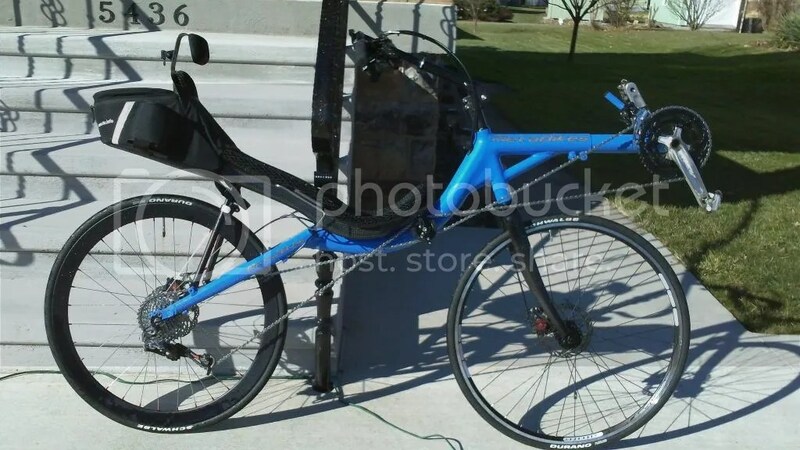 Recumbents for Rando and Ultra? Obviously, ultra-racing and rando are activities that challenge a rider – either to complete the ride or to go as fast as they can. And while rando is less about speed than ultra racing is, the same bike characteristics that produce ‘efficiency’ are the same ones that produce ‘speed’. So what are the fastest/most efficient bikes? Any of the ones with the word ‘racer’ in the name of the category they belong to….lowracers (think Fujin or Raptobike), midracers (think Musashi), and highracers (think Bacchettas, Carbents, Rans Rifle, M5 CHR, Metabikes (Metaphysic and Metaphrastic builds)). Other bikes that have been successfully used in ultras and randonees that do not exactly belong to one of these so-named ‘____racer’ categories are the Rans Xstream and the Cruzbike Silvio and Vendetta. All fast bikes, for sure. Also, the Lighting P-38 has seen a lot of rando use, and works well in that theatre, but perhaps less so in ultraracing use (it’s probably not quite aero enough). That’s a lot of bikes I just listed there, and it’s not even a complete list, even among unfaired bikes. And I clearly haven’t mentioned any velomobiles or faired bikes (like an F-40, for instance). There is a lot of variety in that list. Narrowing the field or determining which bike one might choose among them requires a lot more information and thinking. All bike designs represent a series of compromises and a list of priorities. There is no one bike design that is ‘best’. It all depends on the preferences and priorities of the person riding it. The goal is to bring the rider’s preferences and needs into alignment with the bike’s specific qualities. Try to narrow the field intellectually. Test ride a bunch of bikes to narrow it more. Just do it. Buy a bike. Ride it for a year or two. Do some rando and/or ultra racing. Repeat the above steps if necessary. If anyone thinks they will buy the ‘perfect’ bike on the first try, they are being overly optimistic. With additional experience in hand, you will get closer to buying the ‘perfect’ bike each time you go through the process of evaluating your needs. My current choice for rando. Purdy, eh? Musashi – also a good choice. 6 Responses to Recumbents for Rando and Ultra? The Musashi needs one too. Both of them could use some faster wheels. Right now I mostly ride around on 36 spoke egg beaters on the Metabike. Good for training, and good if a spoke were to break, but wow, they really stir up the air. I hope to take a slightly different approach later in the year by purchasing a Sinner Mango, a velomobile which will be my primary Audax bike. The Mango seems like a good choice for rando amongst velos, since its a bit lighter than most, and any good randonee has its fair share of climbing. I am most jealous of velomobile pilots when the weather turns foul. When the rest of us are soaked and shivering, and the velo pilot is dry(-ish) and warm. What about the Easy Tour GRR (Gold Rush) ? Is this still a viable option? I think a GRR could be a good choice, especially if socked and faired. The only concern I would see is if it climbs well for you or not. I have heard wildly mixed reviews on this. 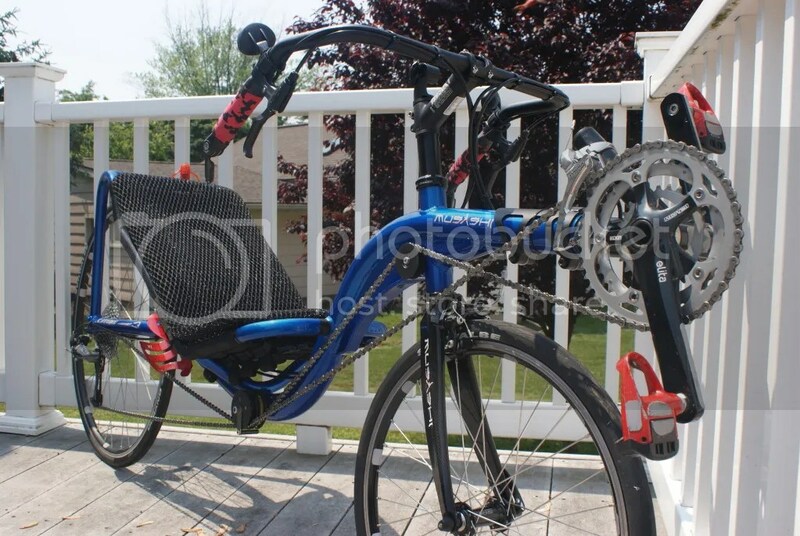 David Cambon, a rando from the Vancouver Canada area, has done quite a bit of randonneuring on such a machine (although he might have only used a fairing and no sock). Perhaps try to make contact with him and get his thoughts. From what I recall of his comments one BROL related to this subject, he was lukewarm on the GRR for rando, although he loves the bike for more general use. Just my recollection of Davi’s opinion – don’t take that as any kind of ‘fact’.